Teaching commands is certainly helpful. Commands like “Sit”, “Stay”, “Come”, “Down”, “Drop it”, and “Heel” can be useful in many situations, help you keep your pup safe and secure, and build his confidence. There are many times, however, when talking to your dog is ineffective, or even counterproductive – and instead, silence is the best medicine. Often when I’m in someone’s home working with their dog, they remark to me with surprise how few words I use. I actually only noticed this after multiple families pointed it out to me! Aggression (you want to create a peaceful state, not a high-tension, alert one). Dominant behaviors (you want a submissive, cooperative mindset, again not alert/tense). Excessive barking (you want quiet, attentiveness). Stress/fear/anxiety (you want calmness, relaxation). The most obvious example of a time words fail is when treating excessive barking. If you shout “No! Stop it! Bad dog! Hush!” (sound familiar? 🙂 your pup will simply think that you’re joining in the fun and barking along with them at the horrible menaces outside! Although it is possible to eventually condition a dog to stop barking on verbal command (or do anything, for that matter), as with ANY obedience training you must FIRST get the desired behavior; only AFTER that can you “name it” – so the dog can associate the word with the action. If pooch doesn’t yet know the word, you’re wasting your breath. If pooch does know the word but is just ignoring you, you’re actually reinforcing his disobedience! Since he’s enjoying his the bad behavior, he’s getting rewarded for ignoring you. So what to do in the meantime, in silence, when your dog misbehaves? You must communicate to him the way dogs communicate to one another: primally, physically, with energy, body language, and the other four senses. No one is a better “dog whisperer” than a mother dog with her pups; and she doesn’t speak a lick of English! 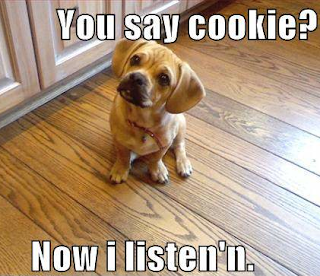 Next time you want to get your dog to behave, try making yourself stay silent while you do it. 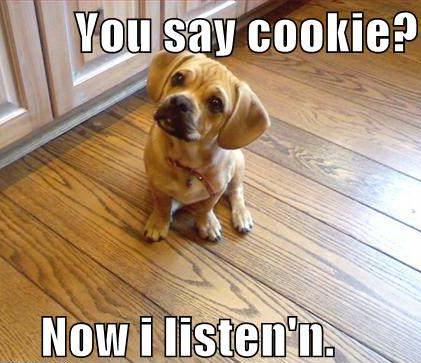 You’ll be surprised what good listeners they are!